To some he's been the deadliest doctor for centuries. That's right, Dr Harrison Wells is officially the Deadliest Doctor. We started this bracket about a month ago because we noticed something strange. While there are plenty of helpful pop culture doctors, there are as many (if not more) doctors that are either incompetent practitioners or straight up murderers. But why? Why are so many doctors such dangerous characters? Is it because they take life into their own hands? Is it because we fear scientific progress? Is it because people are scared of the dentist? We created a bracket with 32 of pop culture's most deadly doctors to answer that very question. We filled it with characters from literature, television, film, video games, and comic books and you voted weekly to determine the winners. Heavy hitters like Dr. Doom, Dr. Manhattan, and Dr. Zoidberg were eliminated leaving only Dr. Krieger from Archer and Dr. Wells from The Flash in the final round. Incredibly (and we promise we aren't making this up) the voting ended in a tie and the bracket ended with a debate between Mad Bracket Status hosts Nando and DJ that was decided by that week's guest Nick Porcaro. In the end, the tie breaking vote went to Dr Wells. [Flash Season 1 Spoilers Ahead] As Nando (very handsomely) explained, Wells is not only a killer but a plain old psychopath as well. 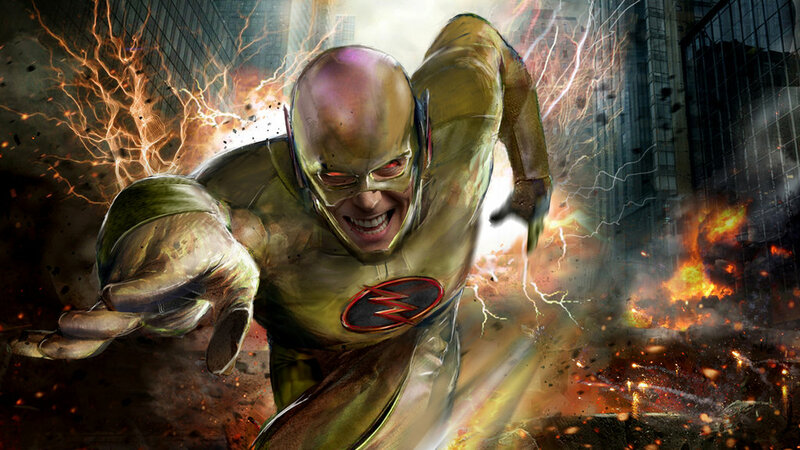 To the unfamiliar, in the distant future Eobard Thawne is hell bent on destroying The Flash's life, for reasons unknown to both the audience and the Flash. 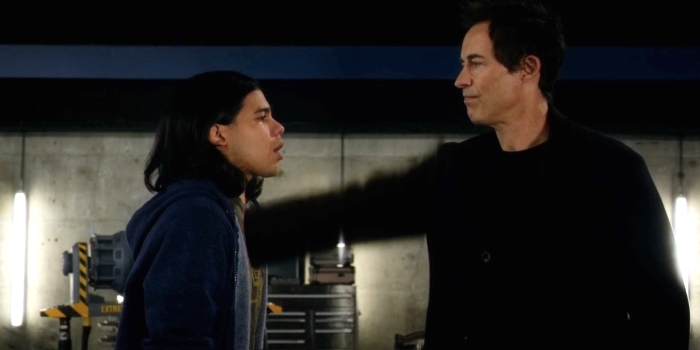 After traveling back in time to murder young Barry, he fails and decides to murder his mother Nora instead, unintentionally setting Barry on the path to become the Flash. Which he apparently did without that happening too. Isn't time travel wonderful? Following the unsuccessful assassination, Thawne accidentally becomes trapped in the past (because clearly no one really understand how the speed force works) and realizes he needs Barry to become the Flash before he can return to his time. 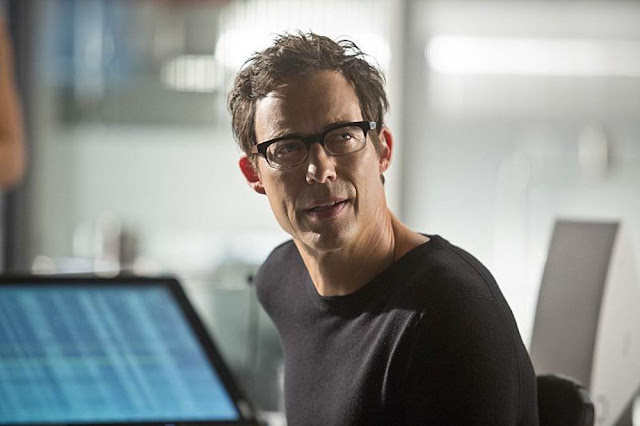 He takes on the identity of famed physicist Harrison Wells in an attempt to speed up Barry's transformation. During that time, here are a few of Wells' more deadly moments. Causes initial particle accelerator explosion which kills 17 people and murders many others. Particle accelerator explosion is also responsible for giving superpowers almost exclusively to violent criminals. Stabs businessman Simon Stagg for expressing interest in the Flash. Speedforces investigative reporter Mason Bridge to death for learning about murder of Simon Stagg. Speedforces Cisco Ramon to death in an alternate timeline for learning his true identity. 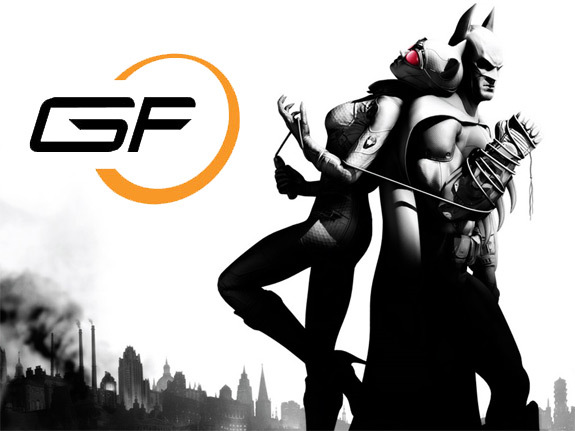 Manipulates super villains Girder and Everyman into situations which lead to their deaths. Creates evil psychic gorilla that will clearly kill a bunch of people in the future. Gives team idea for second particle accelerator run which is in some way responsible for the creation of a black hole that swallows up entire buildings. Many of Dr Well's kills are out of pure necessity. Once someone gets too close to discovering his secret, Wells has to take care of them. In the end, every kill is caused by his initial hatred of The Flash and that is where Well's true deadliness comes in. He is completely single mindedly intent on killing the Flash. If that means killing some police, that's fine with him. If that means killing the lab assistant who he nearly considers a son, he will do that too. He is unpredictable, unreasonable, and he can vibrate his hand through all wall and your chest to murder you. Congratulations to Wells and all of our competitors. Thank you to everyone that voted on the bracket and listened to the show. You can follow us to get news on the rest of our brackets on Facebook and Twitter. Our next bracket, which we announced on this week's show is the Greatest American bracket. It features characters from pop culture that we hand picked to compete in a bracket that can accurately be described as a pure popularity contest. You can listen to our most recent podcast which features the arguments that led to Well's victory at the bottom of this page. They start around the 22 minute mark.